Canon's EF-S 18-135mm IS USM lens ensures you don't have to do a lot of lens changing if you like varied shooting styles for different subjects. This powerful zoom lens can capture sweeping mountain ranges just as easily as it can follow a pair of hawks courting in midair. Use it for portraits as well as candid close-ups, and experiment with different focal lengths for different background effects. Canon's NANO USM system combines USM (ultrasonic motor) and STM (stepping motor) mechanisms for precise, ultra-quiet, super-speedy focusing for both still photography and movies. Full-time manual focus lets you easily fine-tune focus in one-shot AF mode. If you are a videographer, check out Canon's new PZ-E1 power zoom adapter. Designed specifically to work with this lens, it broadens your movie-shooting capabilities and provides smooth, reliably consistent electronic zoom. 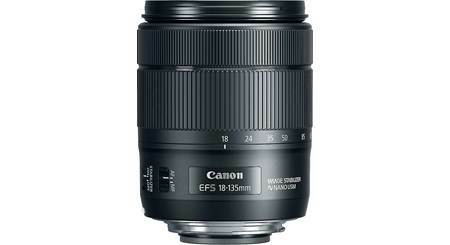 Great New Canon Zoom Lens Lens is Very quiet using new NANO USM System And Fast Also. Getting Excellent Results with my T3i. Probably will get the 6s soon. Was looking at the L series, but they were much heavier. 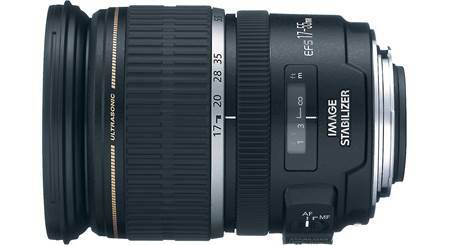 Standard Zoom Design: The focal range of the Canon EF-S 18-135 f/3.5-5.6 IS USM standard zoom lens gives you versatile wide-angle to telephoto shooting options. It features a focal length range equivalent to 29-216mm in the 35mm film format. Optical Image Stabilizer (IS): The lens features an Optical Image Stabilizer for up to 4-stops of effective correction even at full zoom. Since the Optical Image Stabilizer system is in the lens, not in the camera, you can see the stabilized, steadier images through the viewfinder. The Stabilizer switch is located on the barrel of the lens. 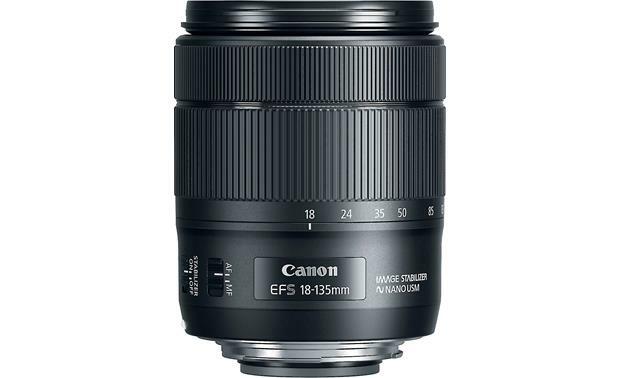 Nano USM: The EF-S 18-135mm IS USM lens features Canon's new Nano USM AF system combining a Ring USM (ultrasonic motor) and an STM (stepping motor) for near-silent video and high-speed auto focusing. The tiny chip-shaped ultrasonic motor delivers smooth, precise auto focusing, plus allows full time manual focusing when using One-Shot AF. Faster Auto Focusing: The new Nano USM motor focuses approximately 4.3 times faster at the telephoto end (135mm) and 2.5 times faster at the wide end (18mm) when using the viewfinder, compared to the previous model (EF-S 18-135mm f/3.5-5.6 IS STM). Optional Power Zoom Adapter: The EF-S 18-135mm IS USM lens is compatible with Canon's new PZ-E1 Power Zoom Adapter, which allows you to control the zooming electronically. The PZ-E1 features adjustable zoom speeds, a locking mechanism, and can be controlled by remote control. The adapter is ideal for enhancing your camera's video capabilities by providing smooth and near-silent powered zooming. Electrical contacts are provided on the barrel of the EF-S 18-135 IS USM lens for connecting to the adapter. Auto/Manual Focus Modes: To shoot in Auto Focus mode, you must set the focus mode switch on the lens to "AF." The Auto Focus adjustment is gear-driven by a DC monitor. To manually focus the camera, you must set the switch to "MF," and focus by turning the focusing ring. The AF/MF switch is located on the barrel of the lens. Lens Hood: The optional EW-73D hood can keep unwanted light out of the lens and also protects the front of the lens from rain, snow, and dust. 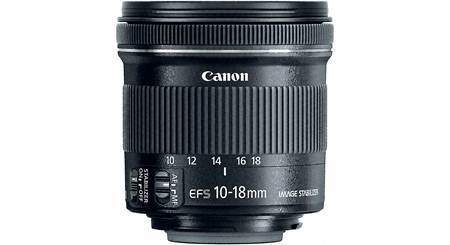 Extension Tubes: The optional EF12 II (1.2x) and EF25 II (2.5x) extension tubes can be added for magnified shots. Filters: You can add an optional 67mm UV protector filter or a 67mm Circular Polarizer filter to this lens. In addition, with the use of an optional gelatin filter holder, you can add various gelatin filters for creating special effects. Case: The LP1116 case helps protect the lens when it's not in use. 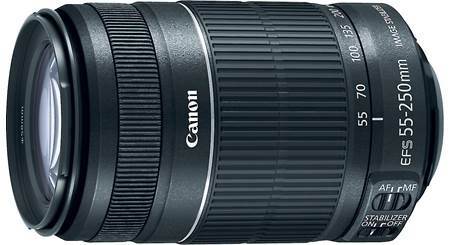 Searches related to the Canon EF-S 18-135mm f/3.5-5.6 IS USM Telephoto zoom lens for APS-C sensor Canon EOS DSLR cameras.